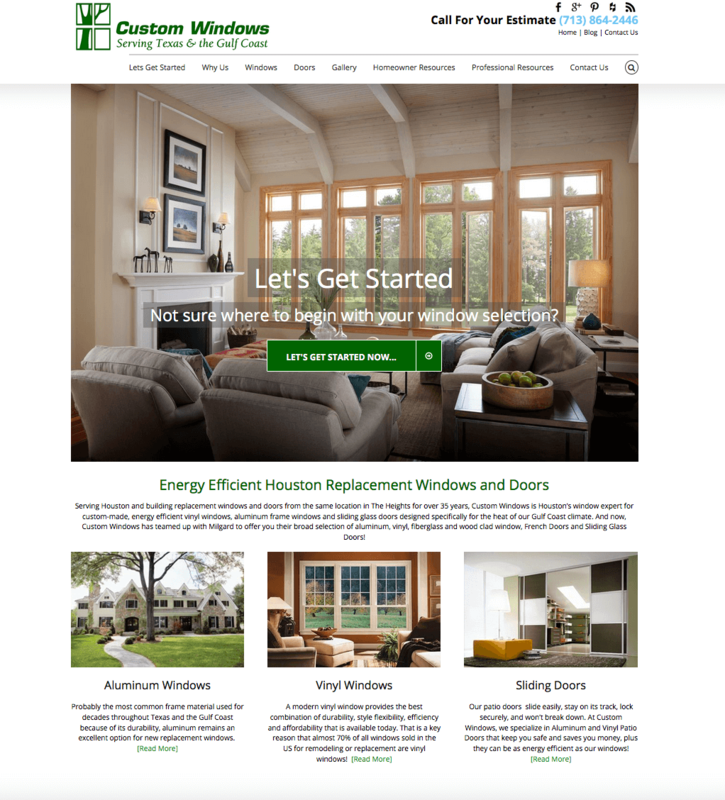 Custom Windows needed a complete overhaul of their website. This case study shows a customized solution with many different types of landing pages, effects, and functionality. The company was using outdated technology to maintain the website and it was too complicated. In addition, the website was not Search Engine friendly nor was it responsive for mobile devices. They approached us to help their company refresh and relaunch its website and to assist in building online awareness of their services. We designed and developed a new search engine optimized website that provided a better user experience for potential new customers. The simplified but more modern design helped new and existing customers find information quickly. Since going live, their website has slowly improved in the search engines without a formal SEO campaign.